Microsoft Bing is Legen.. Wait for it.. Dary! 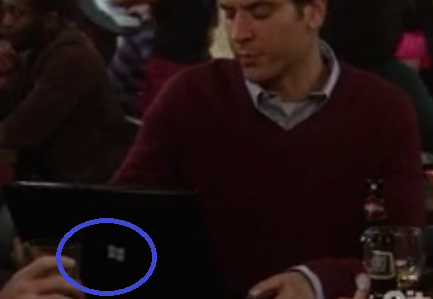 While enjoying an evening of “How I Met Your Mother" Season 6 on Episode 4 titled “Subway Wars” just noticed that Ted Mosby uses a Windows Laptop and Bing Maps! Cool! 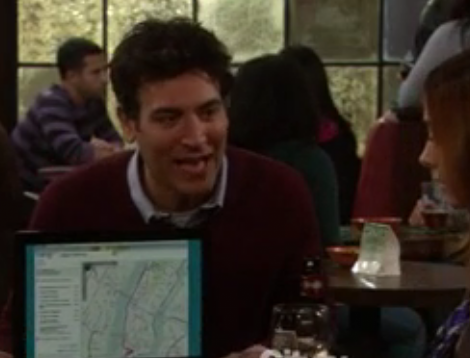 This is Ted, Showing Marshall that he cannot beat the bus running 7 miles on that route. Bing is something that is very familiar to me nowadays, although the high resolution (or street level if you may) is still not available here. Now why did I paused for a moment and posted this? Because if you are now developing on WP7 like me (if you are a developer and is still not trying out the WP7, you may want to check that out) .NET 4.0 already has managed code to access WP7 physical devices, one of which is the System.Device.Location namespace (http://msdn.microsoft.com/en-us/library/system.device.location(v=VS.92).aspx) where you can find the GeoCoordinateWatcher class (http://msdn.microsoft.com/en-us/library/system.device.location.geocoordinatewatcher(v=VS.92).aspx) that implements INotifyPropertyChanged that raises an event whenever your phone changes location – asynchronously. Cool huh. 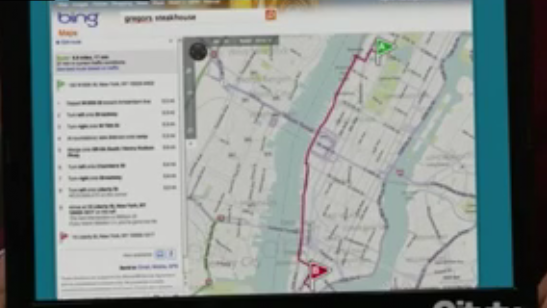 (In normal human term, a programmer can now use BING MAPS + Windows Phone 7 to create location aware phone applications). Posted on June 11, 2011 Categories .Net Development, Windows Phone 7Leave a comment on Microsoft Bing is Legen.. Wait for it.. Dary!